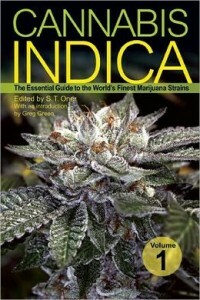 Our friends at Green Candy Press have recently released Cannabis Indica: The Essential Guide to the World’s Finest Marijuana Strains, Volume I, their first book in a series of six that sets a new standard for cannabis strain guides. As you turn through its pages, you will find a great guide featuring genetics from over 100 different seed breeders and strains from various countries, such as Afghanistan, Belgium, Britain, Canada, France, Germany, Holland, India, Pakistan, Russia, Spain, Switzerland, and all throughout the United States. Each book in the series looks to highlight 100 breeders and 100 strains. Such an extensive strain guide shows us how much the seed industry has evolved over the last couple of years. A lot of your favorite seed companies can be found in this book, but it also opens your eyes to some of the new up-and-comers starting to make a name for themselves with high quality genetics. The works of well respected companies, like DJ Short, High Bred Seeds, Holy Smoke Seeds, Paradise Seeds, Sagarmatha, Serious Seeds, and even Subcool and TGA get their props, as well as our local San Diegan companies, OtherSide Farms and Riot Seeds. Oner is a highly successful grower, chef, and author of the best-selling cannabis books Marjuana Chef Cookbook and Marijuana Outdoor Grower’s Guide. This resource guide, six-part series takes an in-depth look at an unprecedented number of new and established cannabis pioneers and the plants they are famous for. 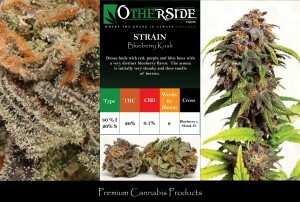 Their list of 100 breeders and 100 strains compiles more than all previous strain guides combined. The information found within the pages of this book is invaluable to connoisseurs, enthusiasts, growers, patients and vendors alike. This is a perfect resource guide for those looking to identify specific strains, helping them zero in on the best cannabis to treat their particular medical condition. Oner’s research for Cannabis Indica did bring him into contact with breeders from all across the globe, but he is well aware of our own domestic efforts in breeding superior and designer strains. He did have some kind words for active seed companies in California, even mentioning a few of our local efforts here in San Diego with Riot Seeds and OtherSide Farms. The introduction at the beginning of the book was written by Greg Green, best-selling author of The Cannabis Grow Bible and The Cannabis Breeder’s Bible. 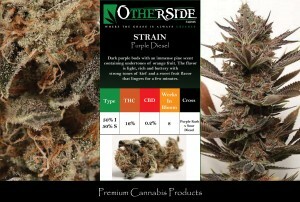 The introduction goes on to give us a crash course on the breakdown of what an indica truly is. It explains its differences from sativa, both in effects and growing characteristics, something us patients are becoming more familiar with. 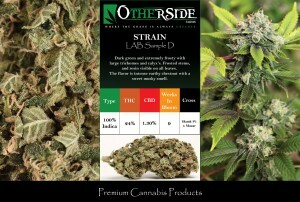 It grazes the subject of growing differences between strains and the effects that ruderalis has had, as it is starting to be bred into the stronger and more potent strains. Green identifies indica’s genetic history and how most indica genetics are rooted in Afghani or Kush origins. The plants’ resilience, reliable genetics, and impressive results mirror that of the will and energy of the people of Afghanistan. From one of the most battled for and war torn regions of the globe, comes the killer herb we look for in its potency, couch lock, and body relaxing properties. That is exactly what Green Candy Press is doing with their six-volume strain guide, helping promote a global cannabis culture that continues to grow. Their attempts to document these strains and their breeders have revealed that the talent among the industry continues to evolve today. 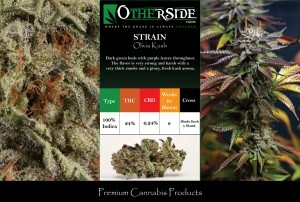 This is no advertising book, every strain and breeder is documented by the merit of their work and product. 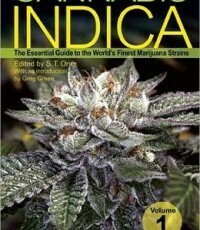 This book gives them the appropriate platform to showcase what they are capable of in the world of cannabis. Even at 100 strains and 100 breeders, Oner still felt inclined to give some honorable mentions to those that did not make the cut for Volume I.
Cannabis Indica: The Essential Guide to the World’s Finest Marijuana Strains, Volume I is the first in a series of six. The next in the series, Cannabis Sativa: The Essential Guide to the World’s Finest Marijuana Strains, Volume I, will be out in May 2012. Oner is currently working on it as we speak, diving into the interesting histories of how these various strains have been acquired. To NUG Magazine and our readers, Oner had some final words for us. Cannabis Indica: The Essential Guide to the World’s Finest Marijuana Strains, Volume I is available in all good bookstores and on Amazon. Storefronts can get copies from Homestead Book Company and Quick Distribution.